Do you want to disable right click to your image sliders? Sometimes you want to protect your image sliders and not allow your users to download the images. In this article, we will share how to disable right click to WordPress image sliders. If you are using an image slider to showcase your work, you may need to protect your images from being downloaded and copied to other websites. 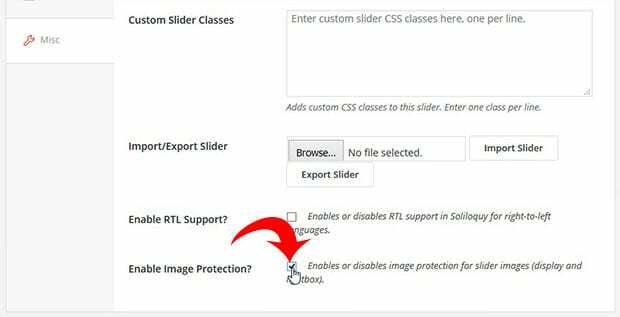 Having a WordPress image slider plugin like Soliloquy allows you to add this protection to your images. 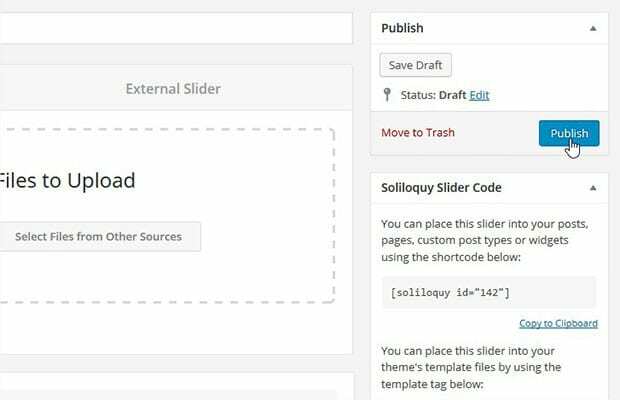 First, you’ll need to install and activate the Soliloquy Image Slider plugin to your WordPress site. To learn more about installing this plugin, check out this Soliloquy installation guide. 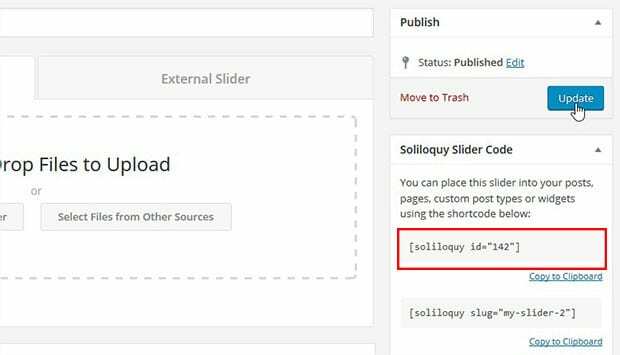 To create an image slider with Soliloquy, you need to go to Soliloquy » Add New. Start by writing a title to the image slider and add your images in the Native Slider section. To learn more about image sliders settings, check out this detailed guide on how to create an image slider in WordPress. Once you are satisfied with your image slider settings, go ahead and click on the Publish button. Now you are ready to disable right click to your WordPress image slider. You need the Soliloquy’s Protection Addon to disable right click to the slides. To access the Protection Addon, you must have Multi, Developer or Master license. Check out our guide on how to upgrade your license. Once you have the proper license, go to Soliloquy » Addon. 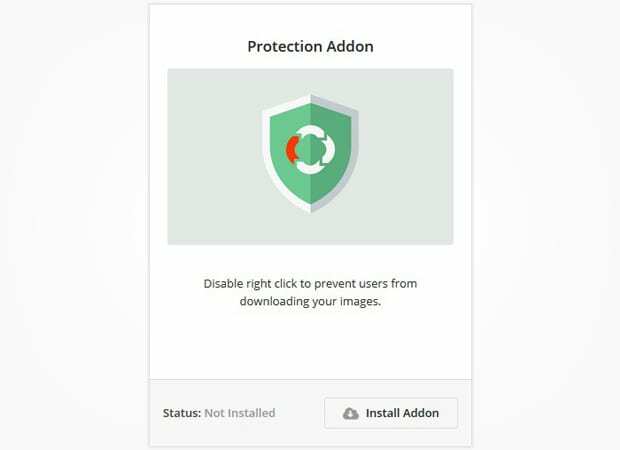 Then install and activate the Protection Addon. Upon activation, go ahead and edit your Soliloquy image slider. In the Misc tab, check mark the Enable Image Protection. Make sure to click on the Update button. Simply copy the shortcode from the Soliloquy Slider Code widget (you’ll need this for the next step). To add your slider to your site, can add a new post by going to Post » Add New, or simply edit an existing post. 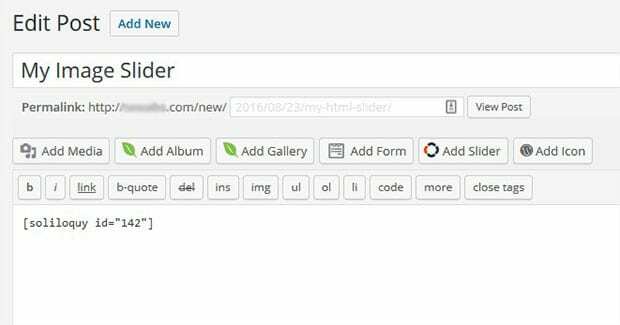 Then, paste the shortcode for your WordPress image slider to the visual editor of your post or page. That’s all. Update your post and go to your website to check out the image slider with right click disabled. We hope this article has helped you to learn how to disable right click to WordPress image sliders. You may also want to check out our guide on how to create a responsive slider for NextGen Gallery in WordPress. If you like this article, then please follow us on Facebook and Twitter for more free WordPress tips and tutorials.